These counter height stools come fully assembled, and are stackable. Easy to transport and store. 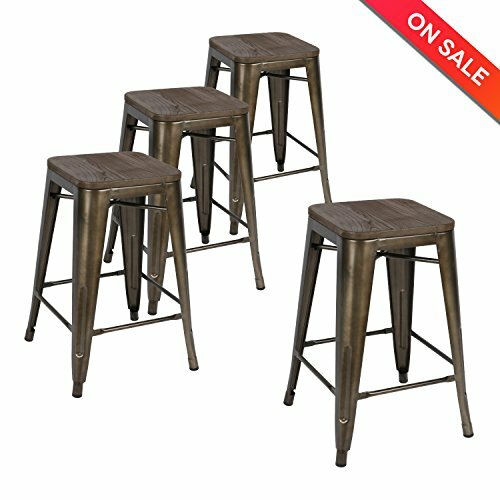 These Vintage Style Bar Stools add a classic touch to your kitchen, restaurant, office, patio or bistro area. Wooden flat seats are easy to wipe clean. If you have any questions about this product by LCH, contact us by completing and submitting the form below. If you are looking for a specif part number, please include it with your message.